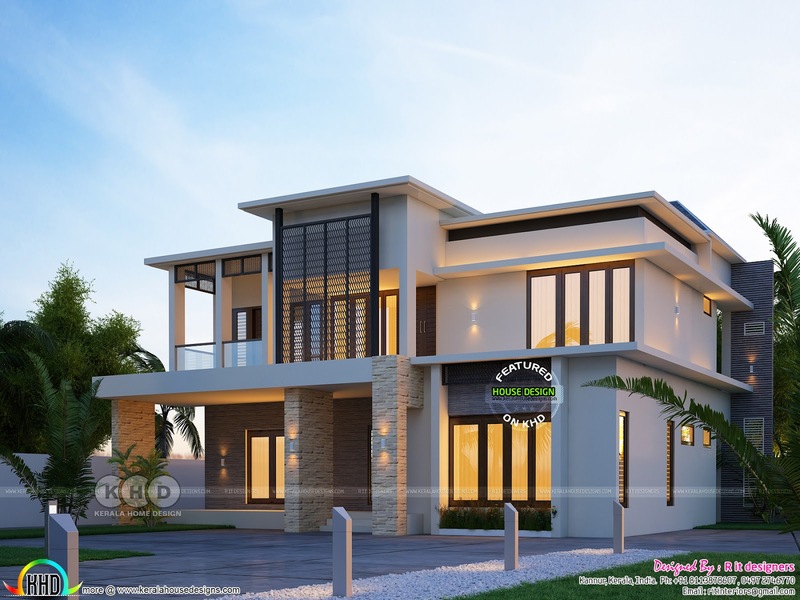 4 bedroom modern style house rendered in night view. Total area of this house is 3207 square feet (298 square meter) (356 square yard). Design provided by Rit designers, Kannur, Kerala. 0 comments on "4 Bedroom house rendering in 3207 sq-ft"